Whether you like the look and feel of tennis shoes are want to be able to play your best on the tennis court, finding the right tennis shoe for your feet can make your day complete. Slipping them on is comfortable and helps you to face any problem of the day. But with so many options of high quality tennis shoes to pick from, how do you know which one is the best for you. Not all tennis shoes are created equal and if you are dealing with the pain of plantar fasciitis, you know this fact all too well. It is critical to find a good pair of tennis shoes that provide the comfort and support right where you need it most so you can make it through the whole day without the pain and discomfort that comes from this foot problem. Whether you want to wear the tennis shoe on a daily basis or going to hit up the tennis courts to win it all, you have to take care to find the shoe that will keep you comfortable and happy. For all those who are suffering from plantar fasciitis, don’t feel trapped just picking out any old pair of tennis shoes. The shoes listed below are fantastic for this kind of foot problem. All of them provide the arches, the support, and the comfort that you need to feel as comfortable as possible. Try one of them today and get back to your great life! Finding a good pair of tennis shoes that you can wear all day long without aggravating your plantar fasciitis is difficult, but this option from Prince is one of the best. The synthetic and mesh material will make your feet feel fantastic with all the support and breathability to keep the heat out. The rubber sole provides the traction you need on almost any surface so you can stay safe and the shock eraser keeps the pressure off the feet if you need to increase the intensity a bit. 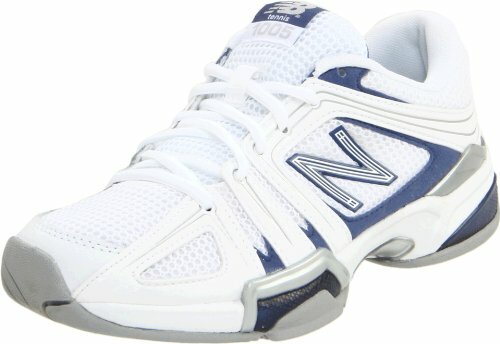 The best part is that these tennis shoes provide you with all this support and comfort for a very budget friendly price. The size on these shoes seems to run a bit smaller than the typical tennis shoe. Many customers complained that they ordered the size that they usually do with these shoes but they were too snug and many complained about foot problems when they wore these all day. Consider going up a half size or trying on a few pairs of this shoe ahead of time to ensure they are going to fit properly and give you the support that you need. When it comes to great shoes, you can’t go wrong with Adidas. They have some of the best running and tennis shoes on the market and you will really see how well these shoes are able to perform after just a few times wearing them. The first thing you will notice is the warranty. Unlike many other shoes where you are stuck with the purchase even if they don’t work the way that you would like, Adidas provides you with a six month warranty on any areas that are considered high wear so you can get a replacement if they start to fail early. You will also enjoy the extra cushion and arch support, how well these work at reducing any impact on your knees and joints, and all the breathability that allows you to wear the shoes all day long without feeling uncomfortable. If you are looking for a shoe that is really budget friendly, this is not necessarily the one. 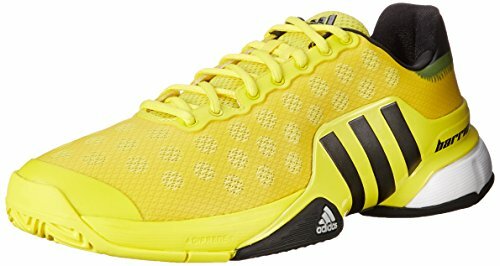 Adidas shoes are usually a bit more expensive than other similar tennis shoes, but for all the styles, features, and the warranty, you are getting a fantastic shoe that you can be proud of. You will also need to be careful with some of the quality with these shoes. Adidas may have tried to do a bit too much with these shoes because some customers have complained that the shoe starts to fall apart in higher traffic areas after just a few months; luckily, you have the warranty to help you out with this. 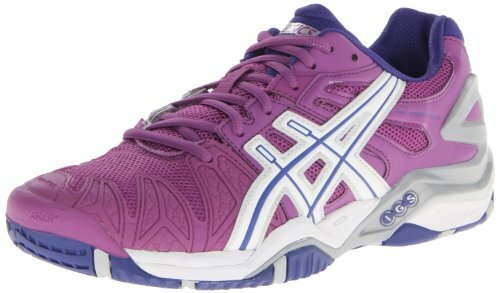 ASICS is not only known for creating great running shoes, they are also loved for their high quality tennis shoe that is comfortable and can be worn all day long. The rubber sole has the traction that you need to walk on most surfaces and the laces have flexion fit to ensure you get them on just right every time. There are gel cushioning features for both the forefoot and the rear foot so you have that extra support on all the right places. The memory foam is meant to mold right to your heel so you get the right support regardless of the type of foot you are dealing with. 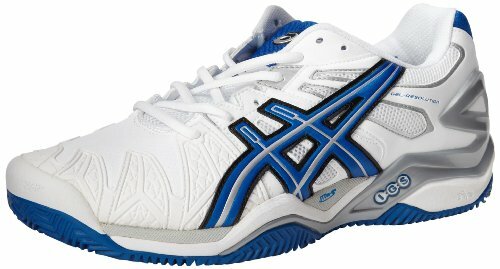 If you are used to the running shoes that ASICS provides, you will find that these tennis shoes just aren’t the same. These are much stiffer compared to the other options and there just isn’t much when it comes to cushioning for much of the foot outside of the heel. This can make heavy use of the shoe hard and you may start to feel your feet hurt more than usual. K-SWISS is known for its great looking shoes that will help you to deal with your plantar fasciitis in no time. The rubber sole is comfortable and will help keep your stability all day long and you will enjoy the added TPU arch that helps your foot lay in a natural way to alleviate pain you are feeling from this foot issue. This is a lightweight shoe that makes it easy to wear whenever works the best for you and the cushions will provide support even for heavier users of the shoe. If you have been a fan of K-SWISS in the past, you will need to be aware of the sizing. These shoes seem to come a bit smaller than you will find with some of their other styles, making them tight and uncomfortable if you purchase the same size. You may want to consider going with a bigger size or going into the store to figure out the size that will fit you the best. You should also be aware that this particular style of K-SWISS tennis shoes isn’t as wide as others, which can be a major problem for those with wider feet. If you want one of the best from Adidas, this is the choice that you should make. 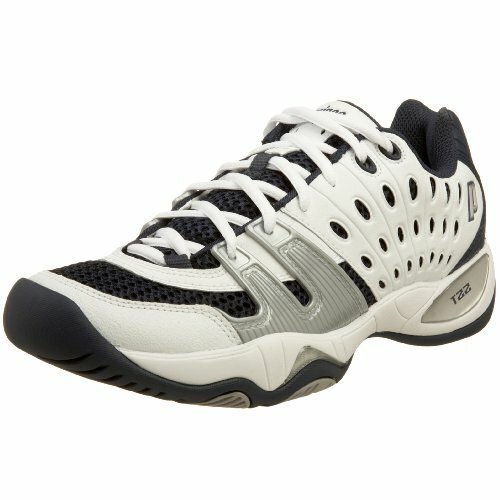 Customers really seem to love this shoe for all the features and comfort, even though the price tag is a bit high for a tennis shoe. This shoe is made of a leather and mesh material to provide the support and breathability that you are looking for. The shoe is really lightweight so you won’t have any extra pressure on your foot while walking around. Adidas has built the outsole in order to make it as durable as possible and the insole is designed with as much comfort for your feet as possible. The biggest complaint that customers had with this shoe is the price. It is pretty high for a tennis shoe, but the shoe is designed to last for a very long time so you won’t have to worry about purchasing another one like you will with other shoes. With all the features and higher class materials, this is well worth the purchase. In addition, the width is meant for medium feet so you will need to watch this if you have a wider foot because it may be a bit tight and uncomfortable. But overall, there are very few who don’t like the shoe and it is really going to work wonders on your plantar fasciitis. Finding a good sturdy women’s shoe is really difficult to accomplish. Finding something that will last for a long time, provide you with stability, and help your foot feel comfortable usually costs too much or makes it impossible to find. But with this option from New Balance, you are going to get it all for a great price. The performance and stability is one of the best features because you will be able to get all of the support that your plantar fasciitis needs without feeling like you are going to fall over. These shoes are also great for a little bit of running or playing sports because they are designed to take the impact off your feet and joints to reduce some of the pain you feel later. There are also a variety of sizes that you are able to choose from to get the style and look that you want. The first thing you will notice about these tennis shoes are the look. 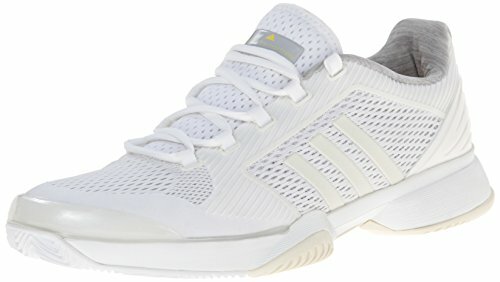 They are not like other tennis shoes, but you will find that this unique look allows you to have more of the stability and support that you need while walking around with feet issues. The synthetic and mesh material allows for the support while keeping your feet breathable when you wear the shoes all day long. The PRC 1000 outsole is a work of genius in these shoes because they provide all the durability that you would want in a tennis shoe to ensure that they don’t wear out too quickly on you. If you are worried about the foot moving around too much when you walk or go about your day, the 4 foot wrap is going to help out with this issue. This feature is meant to give you a glove like fit so that the foot stays in its place without having to fight it as much as you can with some of the other walking shoes. The wishbone shank is another feature that is meant to provide some more stability to your midfoot to make walking more enjoyable and easy. All in all, you are going to be hard pressed to find another walking shoe that provides this much stability to the whole foot for such a great price. No matter what you want in a great tennis shoe, ASICS has got you covered. This option is comfortable, comes in many great styles for you to choose from, and adds in some more support where you need it much. Inside the shoe, you will notice the DuoMax support system, the GEL cushioning for your forefoot and the rubber outsole that is meant to deal with high abrasion areas so you can move around without the impact bothering your feet as much as before so you can make it through the long time. This shoe also runs true to size so if you have used ASICS in the past, you should be fine with the same size. Some customers find that these shoes are inflexible and aren’t going to allow them to move around as much as they would like. This may be due to the fact that that ASICS is trying to provide so many support features that it makes it more difficult to bend and deal with the shoe. The price of this shoe is about midrange so if you’re on a budget they may be a bit out of reach but for all the features and how long the shoe will last you on a daily basis, this is a great option to go with. Get the very best for your feet with these fantastic shoe. The mesh material makes it easy to wear these shoes all day long without your feet getting too hot and uncomfortable. The torsion system inside is meant to help stabilize the heel, making it easier than ever to give your foot the support that it needs while still allowing the heels and toes to move around while you move. The adiprene plus foam is really responsive and provides that extra cushion your foot needs to avoid the shock, you will really notice this in your knees and other joints, so you can feel your best all day long. And with the various colors to make a statement and the lower price range, you are sure to have found the perfect shoe. One issue that many customers had with these shoes is that they look really big on a woman’s feet. Some complained that they run about half a size or more too big. It may be best to try these on before the purchase to make sure they are going to fit your feet and don’t look too big when walking around. 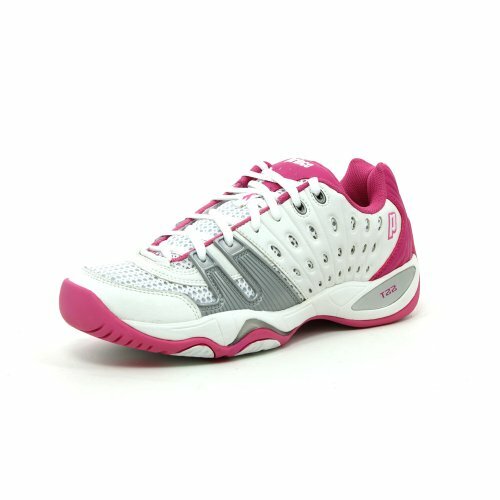 Many customers are searching for a great tennis shoe that they can wear for all occasions. These shoes are great for wearing on a daily basis or even for some light exercise and many who purchase them will wear them until the shoes are falling apart. While there are a lot of great tennis shoes on the market, when you are dealing with plantar fasciitis, you need to take special care to pick out the right kind of tennis shoe to provide support and comfort to prevent any aches and pains. The shoes listed above are made by some of the best brands and offer all the support that you need to really enjoy your day rather than worrying about the pain in your feet. For those who are fond of the K-SWISS models for men and women, this is another great option that you should choose, especially if you are dealing with plantar fasciitis or another foot issue. You can choose from white or multicolor so it often depends on the style that you would like to enjoy. Many customers enjoyed how comfortable these shoes are and how they were able to get all the support they were looking for. You may need to spend some time breaking these shoes in. There were some issues with breaking in the shoe around the ankle, but after a few days of getting them worked out, this is solved and most were happy with the comfort, fit, and style that these shoes come in. If you have a lot of issues with your plantar fasciitis, you should consider bringing in a pair of insoles to go with this shoe. These shoes are really nice for playing tennis or using on a daily basis, but when your foot is really bothering you, you should consider bringing in one of your supportive insoles to make sure to get rid of the pain. Many people who didn’t bring in the insole found that there were issues with their ankles and knees which can make it uncomfortable to move around in. But once the insole goes in, you can get more of the comfort and support that you are looking for and then these shoes are perfect for wearing all the time.